Thanks to SEBI’s new norms regarding Mutual Fund classification, this number will come down to a great extent. Every year, I publish an article on ‘Best Mutual Fund Schemes’. This year I had to wait for the new re-categorization rules to kick-in. Now that almost all the Fund houses have started implementing these new rules, I believe that this is the right time to publish an indicative list of best equity mutual fund schemes that can be considered for your Long term goals. I had earlier published an article on ‘Best Equity mutual Fund schemes 2017. Below is the top 15 mutual funds (category wise) list as per my old article. I believe that it is prudent to invest in a Mutli-cap fund than in a fund which falls under ‘Large-Mid-cap’ category. Hence, I am not short listing any funds under ‘Large-Midcap’ category. Some of the popular Equity funds which are typically considered as Mutli-cap funds may now fall under ‘Value Fund’ or ‘Focused Fund’ categories. For ex : ICICI Prudential Value Discovery Fund has been classified as a Value Fund instead of Mutli-cap Fund. I have not considered Thematic or sectoral Funds while preparing the list of best equity mutual schemes after SEBI’s reclassification rules. Hybrid Funds have been classified into different categories. However, I am considering only Aggressive Hyrbid Funds (Equity Oriented Balanced Funds) here. (Except for few, most of the schemes are under-going cosmetic or drastic changes w.r.t type of scheme, investment objective, investment strategy and portfolio allocation. Hence, I believe that past performance may become irrelevant. We may have to consider them as whole new funds with new benchmark and new set of Peers for making a comparison. You may consider other Funds like Franklin Bluechip Fund or an Index Fund like HDFC Sensex Index Fund. You may also keep a track of some of the popular multi-cap funds like Franklin High Growth Companies Fund (will now be classified as a ‘Focused Fund’), Funds like Quantum Long Term Equity Fund & ICICI Value Discovery Fund are now classified as ‘Value Funds’ instead of Mutli-cap ones. Under Small-cap Fund category, you may also consider funds like SBI Small cap or L&T Emerging Businesses Fund. Above is my mutual fund portfolio for the last few years. I am planning to redeem existing units of TATA Balanced fund & UTI Mid-cap Fund and re-invest in HDFC Balanced Fund & HDFC Mid-cap Opportunities Fund respectively. My Spouse invests in Birla Tax Relief ’96 Fund for long term + Tax saving purposes. Identify your Goals : Majority of us identify the products first and then try to shortlist best investment avenues. An investor has to first identify his/her financial goals and then try to short-list best available investment options. This is applicable for mutual fund investments also. Invest Goal-wise & not as per your age-wise: Even if you are a Senior citizen, you can invest in Equity funds if they are suitable to your investment objectives. Equity funds are for any type of investors. Diversify across Fund categories & Fund houses : I often observe that investors invest in multiple funds of same Fund house. Suggest you to not only invest in funds offered by different fund houses but also try to pick funds from different fund categories. Are you an existing MF Investor? : It is a high time you review your mutual fund portfolio. After the latest changes, many schemes have ended up being quite different from what they were originally. Therefore, you need to keep a close eye on your MF portfolio, watch out for any changes that may occur and act accordingly. Go through the communication you receive or have received from your fund houses. If you have invested in a large-cap fund and if it is now been moved to Large-Mid-cap category then you are going to take higher risk with your investments. Under such circumstances, you may have to switch out from such fund and move to pure Large-cap Fund. In case, there are no major changes being proposed for the funds that you have invested in, kindly keep a track of their performance for next 12 months or so. New Investor ? : If you are new to Mutual Funds, you may consider the above list of funds. Have Realistic Expectations – In the past, schemes often changed their investment style based on market conditions. For example, a large-cap fund would take sizable midcap exposure as the fund manager believed that he could add extra return by doing so, and outperform his peer group. In future, when you buy a large-cap fund, you will get what you think you are buying. Schemes will have to stick to their mandate. So, have realistic expectations from your equity fund investments and do not go by past performance. For time-being, you can ditch mutual fund star ratings. Invest in Index Funds : If you are not comfortable investing in actively managed Funds, you can now start picking Index based Funds. Long Term Capital Gains are now Taxable : You may be aware that long term capital gains on Equity Funds are now taxable. So, watch out for tax implications when you do redemption, Switch or STP. Direct Vs Regular Plans : I do get lot of queries on what is the difference between ‘Regular plan’ and ‘Direct plan’. Kindly read this article for a detailed explanation on this topic : What are Direct Plans of Mutual Fund Schemes?. Do you invest in Mutual Funds for your Long term Financial Goals? Have you reviewed your MF Portfolio post SEBI reclassification? – Kindly share your comments, Cheers! How to get a consolidated view of Mutual Fund Scheme change list (post SEBI reclassification)? Kindly note that the above list of best mutual fund schemes is not an exhaustive one. Mutual funds’ returns are not guaranteed, their values/returns change frequently and past performance may not be repeated. ICICI Bluechip fund – ok.
L&T mid-cap is ok, but given a choice I would pick Franklin Prima or HDFC Mid-cap. 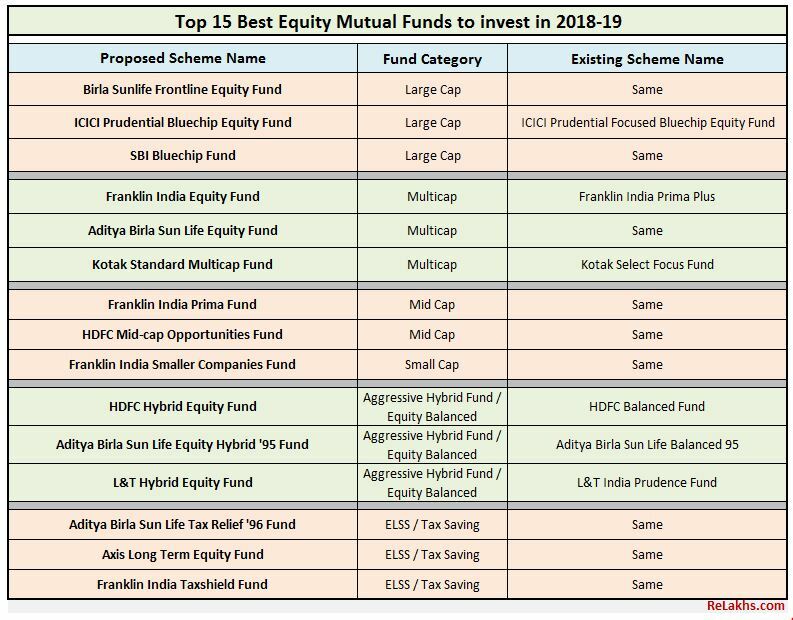 You may go through my latest article @ Best Mutual Fund Equity Schemes to invest in 2019.. Please suggest if any add/deletion required in above MF Scheme for better return or do i need to switch in some other plan. I think sometime back we discussed on your MF portfolio. Looks, like you have trimmed down the number of funds in your Portfolio a bit. Investing in too many funds may not be really beneficially as this may lead to overlap. Especially funds that belong to same fund category like Large cap funds. HDFC Top 200, Birla Frontline, SBI bluechip fall under large cap category. You may retain any one of them and discontinue the other two funds. The same way three mid-cap oriented funds may not be required. What is your view regarding the large cap fund in one’s portfolio~ with a 50-50 mixture of Nifty 50 & Nifty Next 50 fund. Sorry, I meant replacing the large cap fund with the above mixture. For a long term portfolio. Yes, an investor who is happy with Passive style of investing, can go ahead with the said index funds..
You are doing a Great Work and I personally follow relakhs.com for all articles, blogs, Q & A, there are very helpful and informative in all aspects, nice experience are shared with example. 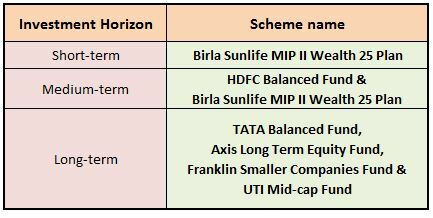 Any other suggestions or correction regarding above MF and goal wise allocation ? You have got all the basics of FP right, good job! May I know if your Accidental insurance covers Permanent Disability? You may look at Super Top up health insurance to enhance your health cover. The selected MFs are fine. You may kindly continue with them and keep a track of their performances. Thank you for your valuable time and appreciation. 1) Just had a doubt on including Aditya Birla SunLife Equity Fund (Multicap) for Long Term (Retirement Allocation had confusion to include mutlicap or Large cap as to avoid portfolio overlap and high risk for Retirement Goal allocation . Is Multicap fine..can continue with the same ? 2) Currently have mediclaim 5L each (me,wife and son) (separate) plus 10L floating health insurance. Additionally have office medical health insurance, however would plan further for Super Top up health insurance. ABSL Equity fund is a good one. If you wish to include a large cap one (as you have already included a small/mid cap fund in the portfolio), you can go for an Index based fund (large cap) like UTI Nifty 50 one. Weekly STP or Monthly SIP in Large-Mid cap fund for 6 years of 5lakhs rupees….and WHY???? waiting for Your valuable advice.. There is no right or wrong approach reg. this. But, if it is STP, kindly watch out for tax implications. If it is SIP, where will you invest Rs 5 lakh corpus now?? What is your preferred investment avenue? Thanks for sharing all the useful information here. I am new investor to mutual funds. I want to do a lum-sum investment of Rs 5 lakhs in mutual funds. Could you please suggest if i should invest in 1 go in selected funds or should I invest in liquid funds and then do a STP to the selected fund? What should be time-period over which I should do this? Also please suggest in what ratio should i invest in Large : Multi: Small cap? May I know your Investment objective(s) and time-horizon?? For Son’s wedding (5 years), advisable to avoid investing in Multi – small or mid cap funds. You may opt for Hybrid Equity (Balanced fund) or Balanced Advantage funds. Ex : HDFC Hybrid Equity or ICICI Pru Bal Adv Fund. For your Retirement Goal – You may opt for a Large cap + Hybrid Equity Fund. For my retirement (15+ yr): EPF (7000/m, deduction at the source), PPF (3000/m), FIEF-D-G (3000/m), Mirae asset emerging bluechip fund (6000/m), Franklin India Smaller co (9000/m). b) Change the portfolio from two multi-cap (FIEF and MAEBCF)+one small cap (FISco) to conventional one large cap (sbi blue chip/BSLFEF) + one Mid cap (HDFC Mid cap opp)+one small cap (FISco) with Large:mid:small – 50:30:20? Any other suggestion regarding my portfolio? The above mentioned three funds are decent picks. However, considering the changes wrt re-categorization, it might be prudent to invest in a pure-play mid-cap stock than to invest in Large+Mid-cap fund, for your retirement goal which is >10+ years from now. In case, you do not want to take higher risk then can stick to your existing portfolio. You may also consider buying a Super-Top up health insurance plan. I am investing 3000/- monthly in ICICI Prudential Long Term Equity Fund (Tax Saving)- Growth. At present 3 years completed, shall I continue in the same fund or shall I stop this and invest in other tax saving funds like Franklin or mirae asset tax saving funds. Because, I felt those funds are performing better than ICICI. ICICI Pru LTE is more of a low risk and decent/average reward kind of option. If your investment horizon is long-term, you may continue with your investments. I have ongoing sip investments in MF’s (long term 10 yrs+).Want to invest a lumpsum of 50 k across these MF’s .Should i look at a specific category or should i put put in 10 k each in Multicap/Large/Small/Value/Focussed. Or the other option iwas looking at ,is to top up 25 k each in the existing lumpsum investments of ultra short term funds i.e .SBI magnum ultra SDF & Franklin India Ultra short bond fund. Your valued suggestion on the same would really help in taking a decision. Debt or Equity ? – You can finalize the selection based on your Asset allocation ratio (if you have been following it). However, considering your time horizon and current market conditions, you may get enough opportunities (dips) in the next few quarters. so, if you can afford to take risk, suggest you to make additional investments in Multicap and/or Mid-cap funds. Very nice blog including the new categorization of funds and great to see your own portfolio. I’m a new investor and shortlisted on the below funds (including percentage allocation of my basket) based on your blog and my time horizon is 10 years. Could please suggest me your recommendations. Thanks. You may kindly go ahead with your shortlisted schemes. All the very best! Thanks for the excellent article. I would like to commend you for giving a definite choice of mutual funds for this year, comparing with your choices last year in the same article and also stating where you have invested! That’s really brave. Keep it up. One issue I thought of was – what should a reader do if somebody has started an SIP in a fund last year as per your recommendation and this year it is not in your list. If I replace a fund, I generally suggest the course of action as well. I have retained Birla Frontline Equity & ICICI Prudential Focused Bluechip funds but replaced UTI Equity fund with SBI Blue chip fund. If you have invested in UTI Equity fund, you may hold on to the existing units and consider investing future SIPs/additional investments in other suggested Large cap funds. Let’s note that no fund can remain in the top forever, the list keeps changing. So, it is prudent to pick the consistent performers. If such funds are not performing well for say last 1-2 years, we can give them some more time (if it meets our requirements) and then take decision. if this makes sense but I felt like sharing my thoughts. Appreciate your views and will surely HIGHLIGHT the dropped list of schemes and required course of action in my future articles. Thank you and keep visiting ReLakhs.com ! I am 71 years old.I have invested all my investments in Bank deposits so that I can meet out my monthly expenses which will be around Rs.35000/ per month.Apart from that I have invested in the following Mutual Funds in lump sum. (current value Rs.15 lakhs). Now I want to invest Rs.1 lakh in some mutual funds for a time horizon of 10 years(for my grand children). Please suggest some good investments. Existing MF portfolio : May I know your investment objective and time-frame? Any specific strategy or reason for picking multiple ELSS only funds?? You may pick one diversified equity fund, one Hybrid Equity fund and one mid-cap fund for your Grand children. Wanted to add a multicap fund (3 k sip) to the above portfolio .Would appreciate your advice on the same. Also want to start with a sip of 2 k towards a emergency fund .Would it be advisable to start with a short term debt fund ? Given the above portfolio and your investment horizon, is n’t prudent to pick a mid-cap oriented fund (if at all you would like to add one more fund)? We can consider ELSS fund as a typical multi-cap fund. Kindly read : What is an Emergency Fund? | Why, Where & How much to save? As far as retirement plan goes idea was to add a multicap cap fund to have a diversified portfolio,but makes sense as to what you are saying , if i have understood you right .With a 7 k DSP small cap and the value/ elss catg. funds having a exposure of 15 -20 % to small/midcap funds makes the portflio aggressive.As of now all sips put together sum up to 12k which i want to take to 15 k with immediate effect and 30 k over the next 2-3 yrs,so should i allocate the 3 k to franklin taxshield itself or should i look at another elss fund. As regards the emergency fund went through the article ,nice read and really liked the idea of having 2 separate emergency funds .As of now do have any lump sum that i can invest and hence was looking at starting a 2k sip to begin with but given the current situation on debt/bond markets ….a bit confused .Could you please advise on this one …..
Do note that Porfolios of Funds keep changing across different time-periods. If one of your objectives is to save taxes, can consider investing in Franklin Taxshield. But, note that though this fund is a decent consistent performer, its allocation to Large cap stocks is on the higher side and you already have one large-cap fund. Kindly do have property asset allocation to Debt products as well for your long term goal (20 years). For building an Emergency fund, kindly do not be too worried about returns, as the purpose of this is to have high liquidity than accumulation.. I have below funds in my portfolio (As a SIP every month), Can you give me a view whether these are good to continue after SEBI changes. Please suggest with details for my better portfolio. All the funds are direct growth plans. My Horizon is 10 years. My current age is 31 years. 1. BIRLA SUN LIFE FRONTLINE EQUITY FUND – 1500 Rs. 1. KOTAK STANDARD MULTICAP FUND – 5000 Rs. 2. PRINCIPAL EMERGING BLUECHIP FUND – – 2000 Rs. 1. FRANKLIN INDIA SMALLER COMPANIES FUND – 4000 Rs. 2. DSP BLACKROCK SMALL CAP FUND – 1000 Rs. 1. SUNDARAM RURAL AND CONSUMPTION FUND – 2000 Rs. 1. ICICI PRUDENTIAL VALUE DISCOVERY FUND – 1500 Rs. Individually, the above listed funds are decent ones. You have two Large cap funds, which may have high portfolio overlap. You may be better off retaining either of the two funds. Like-wise, you may kindly check the overlap %s among the funds. Now, I am looking to invest (25K/Month) as SIP for my retirement and child education/marriage planning. Can you please suggest me the good funds and the percentage asset allocation to each of these funds for 25K/Month SIP, keeping in mind my current ELSS SIP. I have a 15-20 years of time frame to be invested. TIA !! 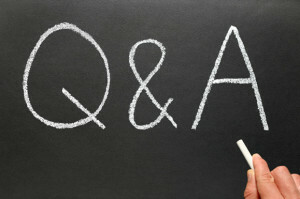 Kindly refer to our Q&As in Forum section..
You may kindly continue with your investment plan. The above list of funds are good ones. Are you investing for your other financial goals? Ex : Retirement goal. for retirement and child education. after retirement, i should get 50000 per month. me and my husband has 50k term insurance seperate. 20k for Tata aig policy. 1) I have 10k in my hand to invest currently. 2) Is it wise to take ULIP now. 4)also want to check which main parameter to check in valuereasech and money to know how portfolio is progressing. not understanding how 2.68 is calculated. 5) should i increase sip. 1 – Is Rs 50k Sum assured or premium amount? 2 – ULIPs vs MFs? 4 – Investing in too many funds may not be really beneficial. The funds with active SIPs are decent choices. Dear Om Prakash..You may kindly continue with your investments.. I am 41 yrs of age with 2 kids (11 and 4 yrs) and have 1 lakh per month to invest from next month. Covered Real Estate investment and want to focus on MFs. I have below monthly SIP plans for investment. Equity Hybrids: 10K – HDFC Hybrid and Mirae Asset Hybrid. To add to the above, I am planning to invest in Conservative Debt Hybrids funds for 20K (preferably 2 funds) and another 50K in Debt funds (mix of liquid and long term debt funds). Idea is to build good corpus for retirement and to have enough cash for children’s education in 7-10 yrs. Could you please let me know if my above allocation is good and any suggestions for Debt Hybrid and Debt funds? Have you already invested in the above said Equity schemes or would like to short few from the above list?? Any specific strategy/reason for planning to have an allocation of 30:70 (in Equity : Debt)? I am already investing around 10K per month in Large Caps and Value funds for last 2 yrs thru Scripbox (Now planning to move to direct funds). Now adding Birla Frontline fund to the portfolio. Along with that I thought of adding midcaps, smallcaps and Hybrid funds for longer horizon. I will be starting SIP for these funds in next 1-2 weeks. Any suggestion on these funds is welcome. Open for additions/deletions to this list. I added atleast 2 funds in each sector to have a balance. The reason for keeping 30:70 (equity:debt) ratio is the possible market volatility due to upcoming elections. I am not sure if it is safe to invest large amounts. I am planning to move towards a 50:50 ratio post-elections. I went thru the articles you pointed on investment planning. I have decent PF/PPF holdings for retirement, but need more equity support I feel. Emergency fund and insurance are in place. Also planning to scale my investments in equity for Kid’s education. As per your calculators, I would need 50k per month to cover kid’s edu and retirement. Any suggestions for that is welcome. It is highly impossible to TIME the markets based on single event. As you are investing for long-term financial goals and that too through SIPs, you may go for ideal Equity:Debt allocation as per your risk profile than concentrating too much on Market Events. Also, you have decent Debt Allocation already in place (PF/PPF). You may avoid investing in multiple Funds from same category. For ex: Three funds from large cap space can be avoided, as this my lead to high overlap. However, the above listed funds are decent choices. But, suggest you to limit the number of funds in your portfolio. Great. Thanks for your suggestions. One more query: Do we really need to invest in these Value funds? If we have a portfolio where Large, Mid, Small cap, Debt are all covered, wondering if adding funds to Value funds make any sense. You may consider a Mutlicap/Diversified fund instead of a Value fund, that could be sufficient..
You may go ahead and invest in PPLTE Fund. Kindly note that the fund may have a small exposure to International Equities as well. Also, you have two Large cap funds, which may have high portfolio overlap. You may be better off retaining either of the two funds. You may kindly go ahead with your investment plan. Sir….generally every financial expert says that we should have long term time horizon for mutual funds. The investments should be tie up with a long term goal. I agree on that. I want to ask that every year there are new schemes launche in the market. The fund that was Number 1 a few years back has changed to may be number 4 or 5 after six, seven years. So how should we as a retail investor evaluate the need to change the mutual funds? If we regularly review the funds performance and they are giving standard MF returns between 12% to 16% then should we continue in the existing funds? Or should we switch to new schemes that are giving similar returns. Need to understand this login from someone expert like you. thanks. No fund can be in the Top rank year on year. We need to look for consistency. I am happy if my invested fund delivers above avg returns year on year and decent downside protection compared to its peers when markets fall. Holding 8676 units of UTI mid cap-direct and 1126 units of Tata Hybrid-direct. Investment horizon was long term. How do I redeem and reinvest? Awaiting your suggestions. You can just SELL the units and purchase afresh units in the scheme of your choice. Kindly watch out for the tax implications if any..
You may go ahead with your investment plan. But, in general, any specific strategy/reason for picking a short term debt fund for 5+ years investment time-frame and not to touch Large equity funds? Nice to hear from you Sir. I am trying to stay away from large cap funds as my risk taking abilities are low. However, my wife is investing in Aditya Birla SunLife Frontline equity and SBI Blue chip funds from more than 7 years. She bought them before the marriage. As in the family the large cap funds are there and also do not want to risk what I am investing therefore, chosen this fund. Please let me know if you have any other recommendation. Kindly pick investment products based on your time-frame, risk profile and required corpus/goal. Do you have stand-alone Mediclaim (regular) cover for self/family? Yes Sir, regular mediclaim from company + one family floater + critical illness + term insurance + accidental insurance. I also checked SBI life cancer insurance. Please share your views on ICICI cancer + heart policy and SBI cancer policy. You may prefer Super Top Up insurance plan to Specific CI plan. Have redeemed units in Tata balanced (hybrid) fund amounting to 3 lacs. Want to invest the same between Franklin India ultra short bond fund & SBI Magnum ultra short duration fund, 1.5 lacs each. Would need these funds between dec’19 – mar’20. Please advise whether should i invest 3 lacs as lumpsum or should i stagger this over the next few months. You may go ahead and invest lump sum amounts in the said funds. Good evening Sreekanth.Thank you . Need you guidance before investing . If possible, can add one diversified Equity fund as well to your portfolio. * How to select the right and best Mutual Fund Scheme based on the Measures of Volatility? Suggest you to check these Funds’ portfolio overlap and then can trim down your portfolio a bit. If your investment objective is to accumulate wealth then you may avoid opting Dividend plans. You have many Sector/Thematic based funds, which can be very risky, hope you are aware of the risk-return trade off on these funds. Thank you Shreekanth. The overlap tools provided would be of great help. I would kindly request you to review the under mentioned portfolio. I have selected these schemes by comparing risk statistics and returns data obtained from valueresearchonline.com. I have done this for my father whose objective is to invest 5-7 years horizon and good dividend earning schemes. However I was not able to obtain past history of dividend payments by funds. Can you suggest some portals where I can get that information? May I know if your father is highly dependent on the dividend income payouts of these schemes? Thank you Sreekanth for responding. My father is not highly dependent on dividend. However he does expect a return (in nature of payout) on investment at least on an annually basis. This return should beat the bank FD rates. With the introduction of tax on Dividend payouts, it is not a good strategy to opt for Dividend plans. He may consider SWP (Systematic Withdrawal plan). But be aware of the tax implications on withdrawals. I am still confused with the investment objective here..
Is wealth accumulation is your father’s objective? Can he afford to take risk on these investments? What is the time-frame? noted on the tax implications. will look up for the information on the same. 2) Myself, investment objective is wealth creation, growth options, investment horizon is 8-10 years. Your father may consider these funds from the above list : HDFC Hyrbid Fund and an MIP Fund like ICICI Prudential Regular Savings Fun. You may go ahead with Axis, Kotak, HDFC Mid-cap & Hybrid Funds. My father is 58 and retired last month from government service. He would like to invest his PF amount of Rs.10 Lac in Mutual Fund. Kindly suggest some funds. Note : He is getting regular pension for each month and has individual health insurance. May I know his investment objective and time-frame? Can he afford to take risk on this investment corpus? Is he ready to accept volatility?? Objective is to use it for any immediate/emergency needs in future. So he can withdraw anytime. He is not ready to take risk. Mutual funds (Debt/Equity Funds) are subject to market risks. If he is not ready to take risk then MF investments may not be the option for him. But, suggest you to check if the retirement corpus is sufficient for him to lead comfortable retirement life. I am planning to invest Rs35000/- in mutual funds with time frame of 13-15 years as earnings will be used for education expenses of my daughter. Please suggest funds for investment as i am new towards mutual funds. Is this one time investment for 15 years? If so, you may pick one Diversified Equity Fund like Birla Equity Fund / Franklin Prima plus. Its 3+ years, I have been following your blogs and it really helped me in financial awareness and planning. Appreciate your efforts. Also i am investing in Axis long term equity fund since mid 2014 and its sip is expiring on 15 July 2018, should I renew it or switch to another elss fund as I need one elss fund for tax saving purpose. Thank you for following my being my loyal blog reader! The listed portfolio is fine. You may continue with Axis LTE . Where do you want to re-invest the Tata fund proceeds? Should I put it in a Debt fund (ABSL MIP 25),liquid fund or bank fd…..seek your advice on the same. If you can offered to take some risk, can consider Ultra Short term Debt Fund, else, Bank FD can be ok, for 1 to 1.5 year time-frame. Thank you Sreekanth. Any recommendations on ultra short term debt fund. Thank you Sreekanth. Have a blessed day. Is this good time to increase SIP amounts in small-cap and mid-cap funds (as NAV is down and thus opportunity to buy extra units)? I am confused as reading a few online articles gives me an impression that small/mid cap stocks and funds are still (highly) overvalued? Your guidance will help. Thanks. Dear Aman ..May I know your investment objective(s) and time-frame?? Have you invested in any mid/small cap based funds? Hi Srikanth…from past 2.3 years I am doing monthly SIP of 3000/- in ICICI Pru Value Discovery fund. Now it is moved under “value fund” category, should I continue in this fund or switch to another multi-cap fund. May I know your investment time-frame and have you invested in other MF schemes? You may consider an MIP fund and/or Short Term Debt fund. I am working as a professor with monthly salary of 30,000. I am investing 5,000 in RD. I now want to add 5,000 in Mutual funds. I am researching that to invest in mid cap fund. Can you please suggest if I should buy “Aditya Birla Sun Life Pure Value Fund (G)”. I am single don’t have any other liabilities. My goal is to buy a car and need 5 lakh in next 4 years. If you can afford to take risk, for an investment time-frame of around 4 to 5years, you may consider an Equity hybrid fund instead of a mid-cap fund. Ex : HDFC Hybrid Equity Fund. Thank you Sir. I was checking your website and found something called – Liquid or Ultra Short Term Debt Funds. What are those? and will that go with my 4-5 years goal needs? Please let me know if you know any good funds. Thank you and bless you. Kindly go through below articles to understand types of debt funds. Since the Midcap & smallcap funds NAV is down around 10-12% , is it good time to invest lumpsup amount ? Very difficult to TIME the market. If your investment horizon is long-term, you may kindly go ahead! My wife & me both are IT professionals & investing 50-60K per month with common portfolio since March-2017. 1) Our baby is 6 months old. So when will be 4 years old. then we will have to pay his school fees every year like 1.5L per year. 2) We are from Mumbai & staying in Rent house. May be in 7-8 years down the line we’ll be planning for our flat. 3) From 2020, We’ll be require 1-1.5L per year for vacations. Note: We’r having some local investment for emergency funds. like upto 2-3L So ready to take risk also. Please find below my portfolio. I just realized that funds are overlapping. So can you please help with the same and also suggest if any other funds i should consider for meetup my future plans? Yes, investing in too many funds may not be really beneficial. The listed funds might be decent ones but as said by you there is no point in investing in multiple funds if their portfolios’ overlap. Suggest you to invest in one or two ELSS funds, that should be fine. You may invest in balanced fund itself for your home purchase goal for next 4 to 5 years or so. For recurring expenses, you may consider options like Bank RDs/ Ultra short term Debt funds. By the by, may I know if you have adequate life insurance and health insurance covers? I was invested Franklin India Feeder Franklin US Opportunities Fund for 1 lakh lumpsum short term(3 months) and Tata Digital India Fund lumpsum 40k for 3 months. Please suggest me, Is that good to invest Overseas funds? Let me know which funds suitable for short term with attractive interest(Expecting 10%). Is your investment time-frame 3 months? Do you need the invested sum after 3 months (short term)?? It will be 3-6 months not more than that. Yes. If your investment time-frame is very short term, you may avoid investing in Mutual funds (especially equity related funds). Agree with on ‘generating alpha’, it is surely going to be a challenge for the Fund managers. Hence, I have also suggested about index funds in the above article, under ‘My observations & general suggestions’ section. Individually the funds in the above list are decent ones. Suggest you to check these Funds’ portfolio overlap after few months as AMCs are now re-structuring the Schemes and then can trim down your portfolio a bit. As of now, you may continue with your investment plan. Below is my portfolio per month.My age is 45 and I have a long term view of my investments.Please review the same and suggest if any changes are required in the current scenario. Dear jitendra ..You may continue with your investment plan. Thanks for ur valuable advise. I want to ask whether any other fund required to be added to my portfolio. If Yes, Suggest the fund. My Grandpa is a super senior citizen, now he is pension is crossing more than 5 Lakh CTC. so to avoid Tax (only this purpose,) which is the best ELSS fund or best alternative way of investment keeping the Tax benefit in mind. Kindly note that investments should not be done just based on Tax saving feature. May I know if he is aware of the risks associated with Equity (ELSS) funds? What is his investment time-frame? Kindly read : Why you should think beyond TAX when investing! Would like to redeem units under Tata Balanced Fund,not in a haste though . What would be a oppurtune time ? Based on its past performance for the last few years, may be it is prudent to switch from this fund right now. I would like to invest Rs.5000 in Mutual Fund SIP for 4 years. Hi Ram, there is no right answer for your query. The reason is because you are not investing based on the the goal. Having a goal creates a commitment and hence the motivation. Once that goal is reached, only then you think about withdrawing and not like your investment in liquid fund (you never told when did you invest in liquid fund, if you did it within last year then you earned less %age than the some savings bank FD. When you define a goal (say 5 years from now you need 10 lakhs), then you calculate how much is needed each month at what average %age. unofficial rule is like, if you can take risk then you should aim for an average of 15% appreciation in investment. This will approx requite 70 % eqity and 30% debt. Meaning in next 5 years your money (invested in the first year) would be doubled. Slightly conseravtive approach will be to target 10 – 11%. This will approx have 50 -50% distribution in Equity and Debt. Finally targetting 7-8% means distributing 20-80% (E-D) or even 10-90%. So start with first creating a goal!. hangon. first make your foundation – do you have emergency fund & all the necessary insurances (term insurance and Medical) ? If not, just one bad phase/event is enough to derail all your hardwork of planning. If your investment horizon is around 4 years, advisable to avoid Equity funds. You may consider Short term Debt Funds. Could you name some funds? For ex : Franklin Low Duration or L&T Low duration fund etc., These are debt funds and can expect returns in the range of 5 to 8% (but returns are not guaranteed). Sir , i have below funds in my portfolio, Can you give me a view whether these are good to continue after SEBI changes. & UTI Mid Cap Fund. You can make additional investments in your other existing mid-cap fund itself (HDFC Mid-cap) or you may look at Franklin Prima Fund as well. My finalised fund for 10-15 yrs horizon or more. Now if all above fund selection ok then can i start sip or can i change in any best option if i missed. 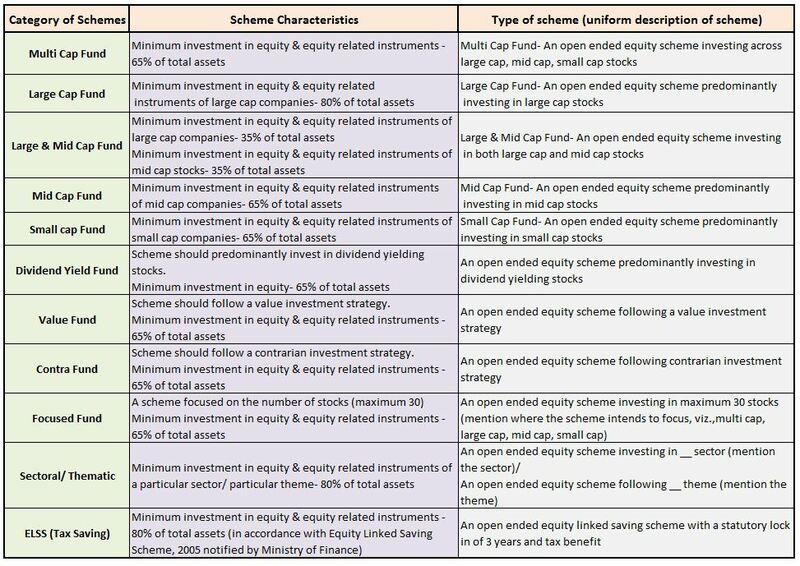 Another thing if i am wrong in categorisation in funds & wrong then also let me know because there is recent change in MF Schemes. Approx amount will be 2-3k in each fund. The listed funds are good ones. In case, you would like to have a pure mid-cap oriented fund, you may pick HDFC Mid-cap or Franklin Prima fund. Thx Mr. Reddy for suggestion for hdfc midcap fund. But as i saw ur article for funds of 2018. In Small-cap & Multicap respectively my funds reliance small cap & Motilal focused 35 fund are not mention by u:( So still i should go for these 2 funds! As u guide many times to all for selecting less fund & diversified so i take only 1 fund in each category which are best & still potential for gud return in coming long term horizon. So, my idea is correct? As per ur advise. You have mentioned a Value fund in the above list, hence suggested a pure mid-cap fund. Especially funds that belong to same fund category. For ex : 1, 4 & 5 are large-cap oriented ones. You may retain one of them. Woh! too many funds. As Sreekanth said, look at the funds and tune it. Especially those Regular plan – shift to Direct fund, you are just losing money there. However, you need to be careful, if you shift to Direct, it will be considered as withdrawal and re-investment – meaning, it will be taxable in a year, if you have any profits. However, you can make sure of that 1 Lakh amount which remains not taxed each FY. Also, why have you taken Balanced fund, when you have Large Cap, Small & Mid Cap? You either continue with good Balanced fund or you Large Cap, Small & Mid-cap. You are not benefiting by keeping your feet in all boats! Its 2015 August…very first time I cane across this blog.. I use to invest in direct equities since 2001. after 2008 crash, 60% valuation got eroded. Still struck to market. As i started house construction in late 2010, i removed all my stocks with mere 30% profit. After carefully looking in to your blog…in 2015 i closed housing loan. Then in August 2015 i started with these funds..
from this month i added SBI small cap as they started accepting new SIPs. Please let me know any modifications in this regard..
మీ బ్లాగు వల్లనే సాధారణ తప్పులు కూడా జరగకుండా జాగ్రత్తలు తీసుకుంటున్నాను. Thank you for your appreciation and for being my loyal blog reader! Individually all the above funds are good ones. But, investing in too many funds may not be really beneficially as this may lead to overlap. I am a retired person from a PSU. I hv invested aprrox. 25 L in hdfc hybid eq fund earlier balanced fund), 14L in ABSL MIP-II WEALTH25 (now regular sv fund) and 11L in ICICI PR BAL ADV FUND , withrawl will be from these funds thro’ SWP not atleast for 3 yrs. Kly advise whether I am on right track to withdraw say 40000/pm thro swp after 3 yrs for 10 yrs then gradually 50000/pm from 10 yrs beyond. Are you highly dependent on these SWPs to meet your living expenses? May I know if you have other sources of income?? Suggest you to kindly use the calculator available here @ Retirement planning..
For next 3 to 4 yrs I am not dependent on these SWP’s. After that I may need withdrawal of say 30000pm for couple of years gradually increasing to 40000pm and so on. My advise. In case, you do have other sources of income, SWPs from Equity funds alone can be a risky affair. Suggest you to consult a Fee-only planner and plan your investments. I am not highly dependent on income from these funds. I v other sources like SCSS 15 l and postoff MIP 9 L.
Congratulation for 4th birthday of your blog. I wish you to blog more & more years and its a great society to our people and country. I saw your recommended portfolio & it has HDFC Balanced fund. It is one of my favorite and best returned fund for more than 5 years and it yielded me almost 28%. Fund house transferred balanced to hybrid. Very sad to see it got merged with HDFC Hybrid Equity fund. I’ve several queries on this topic. 1] As on 31-Mar Balanced fund had almost 20K Crore AUM. Will they transfer the amount to Hybrid fund? 2] I don’t see the huge AUM in Hybrid fund. It has just 205 Crores. 3] Balanced fund was very well balance of 65:35 ratio. But now hybrid has 95:5 ratio. Is it a true Balanced fund? 4] VR shows 1 star rating for HDFC hybrid fund and it didn’t performed well in the past since inception from 2005. So should we continue to invest in Hybrid fund? 5] I’ve ICICI pru balanced fund as well in my portfolio. I’m continuing the same. What’s your recommendation on any other balanced fund? HDFC AMC has done it in an intelligent way. Kindly note that HDFC balanced fund has not changed much except for the name and some small portfolio allocation change. Do not go by Star ratings or past performance for the next few months. You may kindly continue with both the funds. Thank you Sreekanth for your recommendation. I’ll continue the HDFC & ICICI funds for 6 months and see its performance. Good to see your post 🙂 Thanks for it !! I am planning to invest 3k per month for 3+ years.Please suggest a fund . If your investment horizon is around 3 to 5 years, you may consider making additional investments in your existing balanced fund itself. Shall I also Add Short term Funds to balance out my folio ? Kindly note L&T Low duration is a short term Debt fund and not Small Cap (Equity) Fund. Short term debt funds as per my knowledge are more fluctuating according to the market and are taxed right ? Also if given a debt and equity fund for short duration , what should one go for ? Small cap funds are one of the types of Equity Funds. Equity Funds are more volatile than Debt Funds. But, do note that returns from both types are not guaranteed. For shorter investment horizon, one can pick Ultra short term or Short Term Debt Funds. Kindly note that from FY 2018-19 even Equity Funds are taxed. Thanks alot for your patience and answering my queries on Debt funds. Dear Pooja ..Your portfolio looks fine. Yes Sreekanth , Taken a note of it. I didn’t find any point which takes me away from investing in Short term Debt funds . Also time duration would be around 2 years. Let me know if you have any suggestion on the fund with which I can replace it. What’s your take SBI Multicap fund? Decent one, can consider investing. But given a choice, I will pick ABSL Equity Fund under multicap category. ABSL invest mostly on oil n gas and chemical heavy.. with high crude price.. both the sectors will be hit badly. Kindly give reason for ur choice this plan. I am sure the Fund manager of this fund is more talented with proven track record, they definitely would have factored in all the possible factors. Hence these funds are known as actively managed funds. By the by, aren’t high prices good for Oil companies? or Am i missing something? Hello Sreekanth, I want to invest Rs. 5000/- in Franklin India Equity Fund (multi cap) or Franklin High Growth Companies Fund for 5 years – which one of the two do you suggest? Also, I want to buy Tata Motors shares. I was considering to purchase Tata Steel also but it is expensive as of now. So, thinking to buy Tata Motors. Is it fine? For a 5 year term, may be an equity oriented balanced fund is a better choice. In case, you have to pick only from the above two, you may consider Franklin India Equity Fund. Oh! I have invested in both these funds yesterday..is there any way in which I can switch from Franklin India Prima fund direct growth to HDFC Hybrid Equity Fund? Nothing wrong with these two funds. But, in case you are ok with high risk profile, can continue with them. Hybrid Equity funds have moderate risk when compared to Multicap funds. Also, what’s your view on Tata Motors shares? Kindly note that I do not provide suggestions on Stocks/Direct Equities. My father (retired central govt.employee) has Rs.35 Lac in his bank s/a. Getting pension around Rs.25,000 pm; Have mediclaim from govt; No financial dependent. Axis Long Term Equity Fund – already invested Rs.7 Lac via STP from last couple of yrs. Already invested Rs.3.5 Lac in Reliance Gold Bees from last couple of yrs. Is it good or need any modification ? May I know your father’s investment objectives, time-frame and is he a Tax Assessee? Risk appetite – Low to Medium. You may pick two MIP funds instead of 4. In case, he is not looking for Tax saving fund, instead of Axis LTE, he may consider HDFC Hyrbid Equity fund (equity balanced fund with moderate risk profile). Thanks for your valuable time and input Mr. Reddy ! Dear Sree, I am investing in Aditya Birla Frontline Equity Fund since 2016, now I want to switch partly to the aditya Birla Tax relief 96 growth option. Will I be able to avail of the Section 80C benefit for these transaction? I believe Swithces are considered as normal/regular redemption and investment. So, if you switch from ABSL Frontline fund to ABSL Tax relief fund then the amount invested in it will be considered as fresh investment and will be eligible for income tax deduction u/s80c. This investment gets locked for 3 years. Thanks Sree for your quick reply. Dear Sree, In continuation to the above query, I have started investing in Axis long term Equity – Regular Plan in Nov 2015. Suppose if i make STP to Axis long term Equity – Direct Plan from Dec 2018, Whether the same will be considered for Tax deduction u/s 80c? Can you please clarify. No, it wont be considered for tax deduction. Kindly note that units allotted under an ELSS fund have a lock-in period of 3 years. now i am planning to start sip in HDFC small cap fund as sbi small cap fund is not accepting lump sum. next is one midcap and large cap fund.ki ndly suggest whether i am on right track. What is the scheme name of DSP? You may continue your investments in three of your existing funds. For mid/Small cap suggestions, kindly refer to the list provided in the above article. sir, 3 lakhs is in my bank saving account. i acctually want to invest all as saving rate is 4 %. Kindly guide ,how to when to and where to use these money. I would like to invest lumpsum amount Rs.3 lac. I need this amount after 3 years. Kindly suggest a mutual fund (one or many). May I know if you have already made investments in any MF scheme(s)? If you are ok to take some risk, you can invest this corpus in ultra short term or short term Debt Funds. I am invested through SIP mode in both the above funds for my long term goals.Should i remain invested in the same ? Have a nice weekend.Cheers ! Suggest you to stay invested in them. Worth taking risk, as of now! Thank you for the suggestion Sreekanth. Cheers ! have a great week ahead. I have a SIP running for long term in DSP BL Micro Cap Fund which is not performing good lately. Is it time to stop the SIP and switch to may be Franklin Smaller Companies Fund or Reliance Small Cap Fund? Kindly do not judge a fund’s performance based on short term..
As of now, suggest you to continue with it if you are investing in it for your long term goal. I am sir now 36 years old and my take home salary is 90,000. I want rupees 50 lakh when i am 50 years old. thank you so so much. If your investment time-frame is long term say 5+ years and you are ok to take risk (returns from FDs are fixed and guaranteed, same is not the case with Mutual fund investments), then you can consider investing some portion of your investible surplus in HDFC Hybrid Equity Fund. Below is my and my wife’s portfolio which I’m planning.Our 2 goals are after 8 years and other 3 goals are after 16, 25 & 32 years. Please suggest if you would make any change if you were me. Above investment is 80% (equity part)of total Monthly Saving Required. Rest 20% we will invest in debt instruments. Looks like the portfolios have been built carefully , well chosen funds. They have one large, multicap, mid-cap and small cap each. Kindly note that Mirae Asset Emerging Bluechip Fund will now be positioned as Large-Mid cap fund. You may continue with your investments. I have a question. Based on Mr. Chandra Banu Rastogi he mentioned Franklin india smaller companies fund in both his and his wife portfolio. What is your view on same fund in each folio? First thing is it is a decent fund, they have a long term view and I also see it as say two Rs 5k SIPs than one SIP of Rs 10k. I have below ongoing investment from past 2 years. All thanks to you as below portfolio is created based on recommendation and suggestion. My investment time horizon is 7 to 8 Years. Below are the details of current portfolio. Now, after Mutual Fund classification, I would like to know if I should continue with above portfolio OR any changes are required, if yes then which fund I should include/exclude? Further, Now Large cap funds are restricted only upto top 100 companies, I am thinking to move my investment and 2K SIP of Birla sunlife frontline equity fund to Aditya Birla Sun Life Equity Fund. Many thanks in advance for your valuable inputs and advise ! You have two small cap based funds, you may retain either Franklin Smaller cos fund or Reliance small cap. Similarly you already have two multi-cap funds Franklin Prima plus and HDFC Equity. You may retain Franklin Prima plus fund. You may continue with Birla Frontline Equity. After entering,my questions automatically change. 1) Dividend income upto 10 lac from listed company or mutual fund is tax free. After 10 lac which IT rate applicable. 2)DDT for MF is 10%. 1 – Dividends from stocks only, in excess of Rs 10lakh is taxable. The rate of tax is 10%. Hi Sreekanth, I have been a regular reader of your blog and it has given me a good insight on Mutual fund investments. Thank you very much. I have a query and would appreciate if you could provide your comments. 1. I started SIP 1k per month in Franklin India smaller companies fund regular plan since July 2017 and i wanted to switch it to direct plan. Now that we have exit window till June 1st 2018 provided by the AMC, do you think it is a good idea to switch it to direct plan now? 2. I have a lumpsum of 3 lakhs and i’m planning to invest it in Birla sunlife MIP II wealth 25 plan for contingency fund. Do you think this is okay? 1 – If an investor switches from a regular plan to direct plan, do note that taxes are applicable on capital gains. 2 – For Emergency Fund, advisable to consider a Liquid Debt fund. An MIP plan can be risky. Thank you very much Sreekanth for the advice and the quick response. Could you please suggest me a liquid debt fund to park the emergency fund. Most of the popular liquid funds are similar. You may have a look at HDFC Liquid Fund / Aditya Birla Sun Life Money Manager Fund / ICICI Prudential Liquid Fund .. Suggest you to continue with your investments. Do you also own any other MF investments? After few months suggest you to check the portfolio overlap between SBI bluechip and ABSL Top 100. In case, the funds portfolios overlap is say above 25%, you may retain either of these two large cap funds and redirect your investments in Top 100 to other existing funds based on your investment time frame. Kindly note that ABSL Top 100 has now been renamed as Aditya Birla Sun Life Focused Equity Fund . Franklin Build India fund is an Infra based fund and I assume you are aware of the high risks associated with a thematic or sector based funds. I have been a regular reader of your blog. Have a query for you to answer. I have started investing in SIP of MF from last 1 year and I have invested it in two funds: ICICI Pru Value Discovery (G) and HDFC Balanced Fund (G) with 3K each on monthly basis. When I am checking right now, both are showing negative annualized return for my investment, one showing -1.32%, other showing -1.06%. Should I be worried on this and shift my investment to other fund. My target was to invest for 3-4 years on these funds. If you need money in 3 years, suggest you not to invest in Equity oriented Funds. Thanks for your revert. Can you please confirm for how many years, equity based MF are good for? In that case, I would start different investment for 3 years and continue equity MF investment for larger duration. May I know your financial goals and investment objectives?? Hello Sreekanth, I found your blog while searching for financial information. So nice, so good. Full of micro details. I have dsp black rock top 100 mutual fund and putting money from seven years (2011). I am investing 10,000 every month. I also bought SBI blue chip fund two years back with 10,000 every month. I invest 5,000/month in RD. I am 40 now and need 50 lakh at the age of 50 for building a house. Do you think these funds are good enough and shall I hold them. I know you cannot predict fund performance but need your advice. Also, can I complete my goal of 50 lakh with it? Thank you for the in advance. Thank you for visiting my Blog and good to know that you like the info share here! Both funds are large-cap oriented ones. You may continue with them. But, in case, you would like to diversify a bit, you may retain either of these two funds and pick one multi-cap fund. Ex : Birla Equity Fund. The overlap among these two large cap funds as of now is around 44%. Sir, the DSP fund returns are 14% and SBI is 12%. My time horizon is 10 years. Do you think RD is a good investment. Will I complete my goal of 50 lakh with it? Thank you for the advice in advance. For long term goals, Equity can be a good choice. In case, you would like to take moderate risk, you may consider adding an Equity oriented balanced fund like HDFC Hybrid Equity Fund. Axis Long Term Equity Fund – SIP 5000 pm. Please let me know your thoughts on my SIPs and Lumpsum investments. I do see a bit of negative growth of late, but apart from switching of ABSL Equity to Tax Saver, I am still invested in these MFs. I have come up with these based on my research on your website and other articles. I have been doing this for the past 15 months. Please let me know if i am in the correct path. I will be happy to change/switch anything based on your suggestions. Thanks a lot and I really appreciate your help. Individually all the funds are good ones. 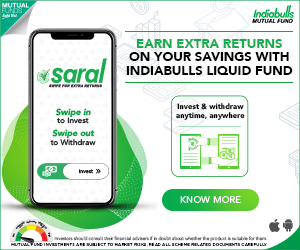 But you have four Tax saving funds and all the units allotted under each SIP gets locked for 3 years, can be inconvenient to withdraw when you require the funds. Also, we can typically consider ELSS funds to be primarily multi-cap funds. If ok, you may reduce the number of ELSS funds in your portfolio after checking their portfolio overlap. You may check the overlap after couple of months. There is no thumb rule as such regarding the % of ovrelap.. Ideally, an investor should aim at lesser % of overlap among the funds in his/her portfolio. Anything below 25% should be ok. Thank you very much for your advise. God bless you and your family for the immense guidance you are offering through your blog which is very helpful for newbies like us. Way to go my friend! I have below mutual funds in my portfolio, do you think I should trim few ? I am investing 2000 in each fund. You have invested in four Small cap based funds. You can surely trim your portfolio, can keep one small cap fund alone. Suggest you to check the Funds portfolio overlap after few months and can take decision. Dear Srikanth,In recent years successful mutual funds have received huge investments from new subscribers leading to a very large AUM of these funds,which compelled fund managers to change their mandate and invest even at peaks in the market,this has lead to their underperforming.Eg. ICICI value discovery,Kotak select Focus,HDFC balance fund,HDFC mid cap opportunities,Axis long term equity fund and many more.Should one avoid such funds which are under performing? I believe that an investor who is not comfortable with Actively managed funds can now seriously think of investing in Index based funds. What are Index Funds? ETFs Vs Index Funds | Should you invest in them? Dear Srikanth ,I was asking whether we should avoid funds with large AUM or continue to stay with them. With the mentioned SEBI rules in place, most of the popular MF Schemes may now have large AUMs. Let’s not worry too much about the size of mutual funds, it is a debatable point. May be, it is wise to pick consistent performing funds even if their AUMs are large. Kindly review and suggest for any changes if required considering longterm and retirement goals. Allocations are in equal proportion as of now. Age is 29. You may kindly continue with your investments. Kindly note that Mirae Asset Emerging Bluechip Fund will now be positioned as Equity – large & mid cap fund	instead of a Midcap fund. I remember last year you mentioned you are going to stop SIP in Tata Balanced Fund as its not performing (in ur portfolio) .. I have that Fund for last 3 years in SIP, is it worth to continue for another 2 more years ? Considering that we can accumulate more units now ..? Also ICICI Pru value Discovery Fund …Is it good to redeem it or accumulate now via SIP ..this also I am doing SIP in last 3 years .. Yes, last year, I had stopped making fresh investments in TATA Balanced Fund, now looking to redeem the units in this FY. You may switch to HDFC hybrid equity fund (HDFC Balanced Fund). You may continue with ICICI Val Dis Fund. It was an nice article, and i was waiting for long time. I am an long term investor mainly for corpus generation. Now planning to diversify my portfolio after reading the above article. So planned to invest in dedicated Multicap & Small cap. Kindly advice each from above mentioned Multicap & Smallcap schemes. Any other suggestions are icing in the cake. SBI Midcap has an average performance. You may re-look into it. Kindly note that Mirae Asset Emerging Bluechip Fund will now be positioned as Large-Midcap fund instead of Mid-cap fund. Motilal – 35 is a multi-cap fund which has been performing well, but its relatively a new fund. TATA PE fund is a diversified Fund, will be moved to Value Fund category. Kotak Select focus has large-cap bias, will now be a Focused Fund. The above three funds are good ones. You may pick anyone of it. If you are looking for a multi-cap fund only then you may go for Motilal fund. You may consider SBI Small cap fund. By the by, do you have adequate Health insurance cover and Personal Accident cover?? Should i stop investing in SBI midcap fund? and I am going ahead with SBI Small cap and Motilal -35 fund as suggested. No i do not have any PA or HI cover.? Is it compulsory as i have been covered under my company policy (Group medi-claim, group term & Personal accident policy). Yes, advisable to buy stand-alone PA & HA cover, do not depend entirely on employer provided insurance coverage. I will discontinue SIP in SBI magnum. Kindly clarify whether to redeem the NAV’s and invest in some other funds or Let it be there?? Also, Could you elaborate about Contra funds? whether one shall look into contra funds for wealth accumulation? Purely asking in terms of diversification only. If yes, how about Invesco India Contra Fund or suggest if any other good performer in contra fund category. Because i am unable to find any contra fund recommendation in any of the articles. Researching for PA & HI policies…. You may route the amount to some other Mutli-cap fund that you may own or own. Personally, I prefer to stick to basic categories and do not venture in to sectoral or contra like funds. But nothing wrong in taking risk (if you can afford to.). Regarding Value or Contra funds… Value funds will follow the value investment strategy where the fund manager will pick stocks which he/she believes are undervalued. On the other, contra funds will follow a contrarian investment strategy. Hello Sreekanth, thank you so much for your list, my bet is on aditya birla mutual funds. Any specific reason to opt for Dividend plan? ABSL Adv fund will now be positioned as ‘Large-midcap’ fund. I often visited Relakhs and wait for this article. Thanks for the nice view. Thank you dear Kumar..I had to wait for the fund houses to implement the new reclassification rules..Else, I would have published this article a few months back itself! Thank you Sree, I highly appriciate your efforts for this article. Thank you dear Srini..Keep visiting ReLakhs.com! 1) redeem means – close the existing fund – get the money to your bank account ? 2) Then Open a MF in (HDFC Balanced Fund and HDFC Mid-cap Opportunities Fund) and put Lumpsum amount what you get by redeem. 3) After lumpsum investment, then you start a monthly SIP on that ? Please – suggest the efficient steps for that? because I have to do the same thing for one of my fund. By the way – what is the platform you are using for tracking all MF ? 2 – I have some investments in HDFC balanced fund, so will make additional investments (manually) in the existing portfolio. Regarding HDFC Mjid-cap fund, have to open new Folio. 3 – These days, I am more inclined to do manual investments (in installments in a FY). But, there is no right or wrong approach. SIP + manual mode can be a better approach. are u referring manually investments means putting lumpsum money into the existing fund? If yes how you do the same means how to time the market for such additional investments (manually) in the existing portfolio. It definitely requires some skills and also one has to invest some time and do research to make additional investments manually. If this is not possible, SIPs (automated) can be choosen. * Is creating wealth through Systematic Investment Plan (SIP) a hoax? I have been following you time to time and would really appreciate if you look at portfolio again with recent changes taking place. Also I looked at some of my funds that I have invested for over 2 years and the return is 5% or 6% in some, is it common? My current SIP in franklin smaller companies fund is ending this July. I want to keep only one small cap do you think DSP would be a good choice with recent developments in the fund house? Do you think I should re-organize my portfolio? What change do you suggest? I am new investor(2 years old) and still learning. Suggest you to continue with your portfolio and kindly review its performance after 1 year. In case, your allocation (%) to Small cap funds is higher Vis-a-Vis entire portfolio, you may retain either of the Smallcap funds. Thank you Sree. Appreciate you taking time out to respond :). Take care. There is no denying the fact that mutual funds have provided nice returns to the small investor in recent years. But there has been excessive marketing and advertising on mutual funds recently. This has created a hype around it which sometimes lures the retail investor in to an investment which he/she should have avoided. Usually retail investors have 7-8 mutual funds in their portfolio which generally includes 3-4 ELSS MF, 1-2 Large Cap MF, 2-3 Small and Mid Cap MF. The diversification leads to averaging of returns and over a period of 7-10 years, the index itself will outperform the portfolio of an retail investor. Also Mutual fund houses on average will charge 2-3 percent of the overall investment as operational expenses. The fund houses are making incredible amount of money via the retail investor as the actual expenses of fund houses are just 0.5 percent. The expense ratio and excessive marketing has made me skeptical on investing in mutual funds. There is no right or wrong approach..If one is comfortable and believe that Index funds can serve the purpose to achieve ones fin goals, they can opt Index funds. I have also endorsed picking ‘index funds’ now, in the above article. It can be very tough for the fund managers to generate high Alpha henceforth. Below is my and my wife’s portfolio in terms of percentage allocation.My age is 29 and wife is 27 years old.We have a long term view of our investments.Please review the same and suggest if any changes are required. For my portfolio, SIP was started in April 2015 and for my wife it started in April 2017. Suggest you to continue with both the portfolios. Keep reviewing their performances. Suggest you to use Funds Portfolio overlap tool(s) after few months from now. Much awaited list. Thanks Sreekanth.